Mellow Motif's major international appearances include ones at Singapore International Jazz Festival (2013) Thailand's Hua-Hin International Jazz Festival (2009, 2013), Singapore's CHIJazz Festival (2009), Singapore's KinestAsia by Timbre (2010), Malaysia's Miri International Jazz Festival (2010), Indonesia's Asean Jazz Festival (2010, 2011, 2012), the Jakarta's International Java Jazz Festival (2013), and China's Nanjing International Jazz and World Music Festival (2011). Mellow Motif has participated in many large-scale music festivals within the country such as Emporium Music Rendezvous by The Emporium (2010, 2011), Indy in Pai (2010), Fat Festival by 104.5 Fat Radio (2009), Melody of Life (2009), La Fete de la Musique by Alliance Francais (2009), Singha Summer Groove - in conjunction with Pattaya International Music Festival (2009), and more. The band makes regular appearances at reputable jazz venues in Bangkok such as Saxophone Pub, Brown Sugar Jazz Pub, Jazz Happens Bar, Mello Yello Jazz & More, etc. Mellow Motif's latest album, “Sabuy Dee”(2010), is a hard swinging album that consists of re-interpretations of tunes from the 30s-50s, original compositions, and jazz renditions of Thai favorites such as "I Feel Sabuy Dee"(รู้สึกสบายดี) and "Tur Moon Rob Chun, Chun Moon Rob Tur"(เธอหมุนรอบฉัน ฉันหมุนรอบเธอ) by the legendary songwriter Prapas Cholsaranon. Highlights of this album include Natasha's arrangement of Joe Ricardel's 'Frim Fram Sauce' featuring real kitchenware as musical instruments. Natasha, lovingly known as ‘Oong’ in Thailand, was first introduced to Thai audience in 2009 by Warner Music Group. Over the course of 4 years as an active performing and recording artist, Natasha has created a name for herself as Thailand’s one-and-only jazz vocalist in the market who has an international reputation and following. She is known for her crystal clear voice and is admired for her sense of rhythm and phrasing in Brazilian music. Natasha has made appearances at many major music festivals throughout Asia such as the Jakarta International Java Jazz Festival (Indonesia), Thailand's Hua-Hin International Jazz Festival (2009), Singapore's CHIJazz Festival (2009), Malaysia's Miri International Jazz Festival (2010), Hong Kong’s Peel Jazz Festival (2011), Indonesia's Asean Jazz Festival (2010-2011), and China's Nanjing International Jazz and World Music Festival (2011), just to name a few. As a soloist, she has worked with some of the best musicians in the region such as Dr. Denny Euprasert, Lewis Pragasam, Koh Mr. Saxman, Dwiki Dharmawan, Haruya Kibata, Valtinho Anastacio, Michael Veerapen, and many more, including Jazz and Brazilian music legends such as Bob James and Roberto Menescal. She has performed extensively at jazz club circuits and major music festivals in Thailand, Malaysia, Singapore, Hong Kong, Japan, and Indonesia. Ponchart became interested in music at the age of 14. 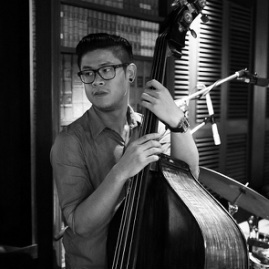 He attended Faculty of Music, Silpakorn University from 2002-2005 and received his Bachelor's degree in Jazz Studies. After his graduation, he became one of the most in-demand acoustic bass player of his generation. Ponchart has risen to be the top acoustic bass player today with his refreshing delivery and strong performance skills. In 2006, he won The King’s Trophy for Best Jazz Band from Thailand Jazz Competition#2 and was chosen as one of Thailand’s representative to perform at University of North Carolina (UNC) Jazz Festival in Greeley, Colorado, USA. Ponchart joined Mellow Motif in 2009 exclusively for the making of "Sabuy Dee" and has been a crucial member ever since. He is often found performing at most of Thailand’s high profile jazz festivals. Ponchart is currently an adjunct professor in acoustic bass at the Faculty of Music, Silpakorn University. Earth is an upcoming versatile young drummer who has toured extensively with Thailand’s legendary rock band, Kaleidoscope. He graduated with a Bachelor of Music from Silpakorn University under H.M. The King’s full scholarship. Earth has won an Outstanding Musicianship Award from the Music Competition for H.H. the Crown Prince’s Trophy, is the Grand Prize Recipient of the Music Competition for H.H. Princess Ubolratana Rajakanya Siriwatana Punnvadee’s Trophy, and a Grand Prize Recipient (Combo Category) for the Thailand International Jazz Competition 2013 (TIJC) for H.M. King Bhumibol Adulyadej’s Trophy. Earth is Mellow Motif’s newest addition and he has been performing regularly with the band both within Thailand and abroad since the beginning of 2012. An adjunct professor at the Jazz Department and Commercial Music Department at Silpakorn University, Ngaw is a versatile guitar player who is well versed in many genres, from rock to funk, and from pop to jazz. His ability to master complex Brazilian rhythms and his deep understanding of jazz harmony puts him miles ahead of other guitar players in Thailand. 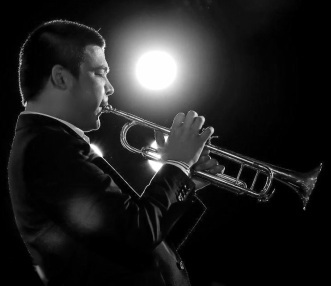 He has won the Grand Prize of the Thailand International Jazz Competition (Combo Category), is the recipient of the Downbeat Student Award, and is the recipient of the Outstanding Musicianship Award from University of Northern Colorado. Ngaw is also a part of the band performing for The Voice Thailand and has played back-up for Eric Marienthal in his concert in Thailand. Andrew obtained his Bachelor of Art in Music from Mahidol University College of Music. He has shown great talent and has been an in-demand trumpet player since he was a college student. In 2006, Andrew won the first price from Thailand Jazz Competition with Jazz Paknam Poo. Right after that he joined T-Bone, Thailand's very first and most renowned Reggae/Ska band, and has toured with the band to many different provinces and countries. With T-Bone, he has performed at WOMAD music festival (Singapore), Hua-Hin jazz festival (Bangkok), Glastonbury music festival (England), Pai Music Festival (Thailand), Smiley Fest International Ska/Reggae Music Festival (Thailand), just to name a few. In 2007, he was a finalist for Thailand Jazz Competition with Ja-Dobe jazz Quintet and was honored the Outstanding Musician of the year. His recent performances include those with the Thailand All Star Big Band in Hua Hin Jazz Festival (Thailand) and the Mahidol Jazz Orchestra at the 2010 New Year Music Festival (Taiwan). He joined Mellow Motif in 2010 and has performed with the band in many festivals and music events this year such as Miri Jazz Festival (Sarawak, Malaysia), and Kinestasia (Singapore). He has also performed at No Black Tie (KL, Malaysia) with Natasha Patamapongs and Michael Veerapen.